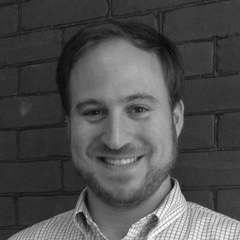 Andrew Selbst is a Postdoctoral Scholar at Data & Society and Visiting Fellow at Yale Law School’s Information Society Project. Selbst studies the effects of technological change on legal institutions and structures, with a particular focus on how technology disrupts society’s traditional understandings of civil rights and civil liberties. His current research examines how certain standard legal concepts that serve as underlying bases for accountability, such as explanations, fault, and liability, may need to be reexamined as applied to machine learning systems. Before joining Data & Society, Selbst was a Visiting Researcher at Georgetown University Law Center and a scholar in residence at the Electronic Privacy Information Center. Prior to that, he has been a senior associate at Hogan Lovells, a Supreme Court Assistance Project Fellow at Public Citizen, and a Privacy Research Fellow at NYU’s Information Law Institute. He clerked for Hon. Jane R. Roth of the U.S. Court of Appeals for Third Circuit, and Hon. Dolly M. Gee of the U.S. District Court of the Central District of California. Selbst earned his J.D. at the University of Michigan Law School and holds M.Eng. and S.B. degrees in Electrical Engineering and Computer Science from the Massachusetts Institute of Technology. He is licensed to practice law in New York, New Jersey, and Washington, D.C.
What does the GDPR and the “right to explanation” mean for AI? Explainable Artificial Intelligence: Can We Hold Machines Accountable? Artificial Intelligence, ethics and the law: What challenges? What opportunities?